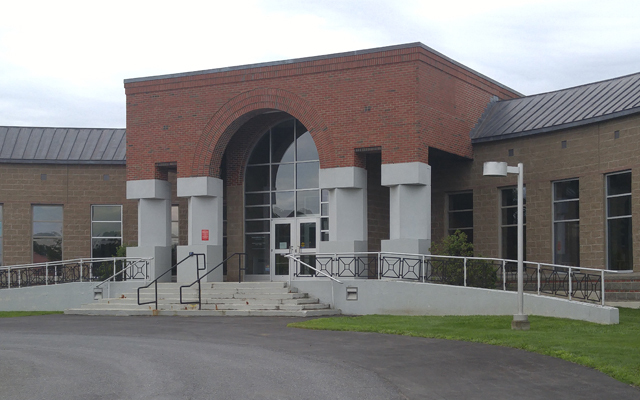 The following cases were heard under the Aroostook Criminal Docket at the Presque Isle courthouse during the month of September. PRESQUE ISLE, Maine — The following cases were heard under the Aroostook Criminal Docket at the Presque Isle courthouse during the month of September. Robert W. Carney, 56, Presque Isle: aggravated trafficking of scheduled drugs, $400 fine, six years in prison; aggravated trafficking of scheduled drugs, $400 fine, six years in prison; aggravated furnishing of scheduled drugs, $400 fine, two years in prison; aggravated trafficking of scheduled drugs, $10,000 fine, 20 years in prison all but eight years suspended, four years probation. Annunziata Gambardella, 55, Presque Isle: unlawfully furnishing scheduled drug, $1,500 fine, 77 days in jail. Jesse J. Dewley, 20, Fort Fairfield: operating while license suspended or revoked, prior, $500 fine, 15 days in jail; violating condition of release, $250 fine. Trevor Mark Tompkins, 31, Ashland: aggravated trafficking of scheduled drugs, $400 fine, 18 years in prison all but six years suspended, four years probation, $2,120 restitution. Joseph B. Haines, 46, Fort Fairfield: probation violation, 42 days in jail, probation partially revoked, probation continued. Jessica L. Brown, 36, Caribou: theft by unauthorized taking or transfer, priors, $2 restitution. Michael D. Stiggle, 47, Mars Hill: criminal threatening (two counts), dismissed (each); disorderly conduct, offensive words, gestures, $250 fine. Kenneth Lee Adams Sr., 60, Presque Isle: violating protection from abuse order, six days in jail. Kathy M. York, 51, Presque Isle: misuse of identification, 30 days in jail; theft by unauthorized taking or transfer, 16 months in prison all but 30 days suspended, two years probation, $1,488.95 restitution. Keith A. Nightingale, 49, Fort Fairfield: criminal trespass, 48 hours in jail; operating vehicle without license-conditions/restrictions, $500 fine, 48 hours in jail, 150-day license suspension. Matthew Valone, 47, Portage: assault, $300 fine, 32 days in jail; domestic violence assault, 32 days in jail. Matthew G. Belinski, 47, Presque Isle: assault, filed on $100 costs. Matthew J. Lovely, 45, Chapman: domestic violence reckless conduct, dismissed; domestic violence terrorizing, dismissed; violating condition of release, dismissed; endangering the welfare of a child, dismissed; reckless conduct, $500 fine. Jeremiah Therrien, 21, Presque Isle: aggravated assault, dismissed; burglary, dismissed; violating condition of release, five days in jail; violating condition of release, five days in jail; violating condition of release, dismissed; criminal mischief, five days in jail, $750 restitution, criminal trespass, administrative release sentence one year. Hope A. Phillips, 38, Presque Isle: domestic violence assault, priors, eight months in jail. Matthew P. Walton, 47, Presque Isle: violating condition of release, $250 fine. Larry M. Pinette, 53, Ashland: criminal threatening with a dangerous weapon, 12 months in prison all but three days suspended, one year probation; aggravated assault, dismissed; assault, $300 fine. Jay W. Blosser, 36, Presque Isle: indecent conduct, 10 days in jail. Stephen Robert Ashford, 38, Presque Isle: violating protection from abuse order, $300 fine. Chad Peterson, 27, Caribou: unlawful possession of methamphetamine, dismissed; operating vehicle without license-conditions/restrictions, 48 hours in jail; unlawful possession of scheduled drug, $400 fine, 146 days in jail. Hope A. Phillips, 38, Presque Isle: domestic violence assault, priors, dismissed; unlawful possession of scheduled drug, dismissed. Tina Quigg, 55, Perham: misuse of E-9-1-1 system, $100 fine. Matthew Lee Saucier, 33, Presque Isle: operating while license suspended or revoked, prior, $300 fine. Chad A. Little, 25, Caribou: operating while license suspended or revoked, prior, $750 fine; violating condition of release, $500 fine. David C. Rowland, 26, Biddeford: assault, $300 fine, 48 hours in jail. Quinton S. King, 60, Abbot: possessing fish in violation, $100 fine. Matthew Lee Saucier, 33, Presque Isle: indecent conduct, $500 fine. Mark J. Howe, 31, Ashland: driving to endanger, $575 fine, 30-day license suspension; endangering the welfare of a child, dismissed. Brandon M. Wyman, 31, Ashland: criminal threatening, $250 fine. Alex G. Lewin, 21, Masardis: operating ATV to endanger, $400 fine; hindering apprehension or prosecution, dismissed. Michael White, 21, Woodland: operating ATV to endanger, $400 fine. Jessica D. Francis, 40, Presque Isle: misuse of E-9-1-1 system, $150 fine. Jessie White, 40, Perham: theft of services, 48 hours in jail, $55 restitution. Charles F. Fletcher, 49, Presque Isle: OUI (alcohol), dismissed; operating ATV under influence over 21, $750 fine, 72 hours in jail. Jessica M. Jones, 28, Houlton: stealing drugs, dismissed; unlawful possession of scheduled drug, $400 fine, six months in jail. Justin K. Brown Jr., 56, Presque Isle: assault, $300 fine. Logan D. Craig, 23, Fort Fairfield: unlawful possession of scheduled drug, $400 fine, five days in jail; failing to surrender license or certificate, 48 hours in jail; violating condition of release, five days in jail. Troy C. Blier, 31, Fort Fairfield: operating after habitual offender revocation, $500 fine, 30 days in jail. Jessica D. Francis, 40, Presque Isle: theft by unauthorized taking or transfer, five days in jail; violating condition of release, five days in jail. Paul A. Wasson, 27, Presque Isle: operating while license suspended or revoked, $250 fine. Giovanni Lopez, 25, Presque Isle: criminal mischief, $250 fine, $300 restitution. Terence R. Finnemore, 67, Bridgewater: displaying fictitious vehicle certificate, $150 fine. Joshua J. Clark, 25, Presque Isle: terrorizing, four months in jail. Adrienne M. Reed, 34, Presque Isle: violating condition of release, $250 fine. Andrew M. Cash, 25, Presque Isle: OUI (alcohol), $500 fine, 48 hours in jail, 150-day license suspension. Joshua D. Kinney, 32, Presque Isle: theft by unauthorized taking or transfer, 72 hours in jail; refuse to submit to arrest or detention, refuse to stop, 72 hours in jail. Olivia S. Barnes, 27, Fort Fairfield: violating condition of release, 30 days in jail. Jayson D. Lovely: 24, Presque Isle: violating condition of release, 48 hours in jail; criminal mischief, 48 hours in jail. Matthew Tweedie, 33, Blaine: operating motor vehicle with defective system, $100 fine. Garrett L. Gray, 25, Easton: failing to yield right of way, filed with $250 costs. Deion C. Caudill, 24, Presque Isle: operating while license suspended or revoked, $250 fine. Paul J. Weckbacher, 64, Halifax, Mass., illegal placing of bear bait, $100 fine. Naida D. Deschesne, 60, Fort Fairfield: failing to stop for officer, $250 fine, 48 hours in jail; obstructing government administration, 48 hours in jail. Donald E. Murphy Jr., 64, Harrison: unlawful use of bait in artificial-lure-only water, $100 fine. Danielle Webb, 33, Presque Isle: unlawful possession of scheduled drug, $400 fine, five days in jail; stealing drugs, $400 fine, five days in jail; violating condition of release, five days in jail. Alex G. Lewin, 21, Masardis: operating ATV on public way, $100 fine; operating unregistered ATV, $200 fine. Naomie L. Haines, 19, Washburn: operating unregistered ATV, $200 fine; operating ATV on public way, $100 fine; failing to stop ATV upon entering public way, $100 fine. Michael White, 21, Woodland: operating unregistered ATV, $200 fine; operating ATV on public way, $100 fine. Jacob J. Turner, 26, Presque Isle: failing to inform law enforcement of concealed handgun, $100 fine. Garrett J. Cyr, 42, Fort Fairfield: operating ATV on public way, $100 fine. Jonathan B. Dixon, 44, Presque Isle: carrying passenger on ATV without headgear, $100 fine. Zachary Pike, 28, Mapleton: operating without safety equipment, $100 fine. Mason Deabay, 19, Portage: fail to present ATV registration, $100 fine. Michael A. Corella, 31, Presque Isle: operating ATV on public way, $100 fine. Taylor K. Lovely, 31, Mapleton: allowing dog to be at large, $75 fine. Keenan Charette, 20, Fort Fairfield: operating ATV on public way, $100 fine. Nathan B. Barnes, 20, Fort Fairfield: operating ATV on public way, $100 fine. Keenan Charette, 20, Fort Fairfield: operating unregistered ATV, $200 fine. Jon M. Lauritsen, 62, Mapleton: littering, $100 fine. Tammy R. Leach, 47, Presque Isle: allowing minor to operate ATV in violation, $100 fine. William F. Perkins, 32, Fort Fairfield: operating ATV on public way, $100 fine.